I was a bit stuck at first. What exactly did he want? A cake or cookies? Or did he just want a bag of marshmallows? Truthfully, he would have been happy with the latter, but I couldn’t just give him a bag of marshmallows. Well, I could have, but I didn’t want to. 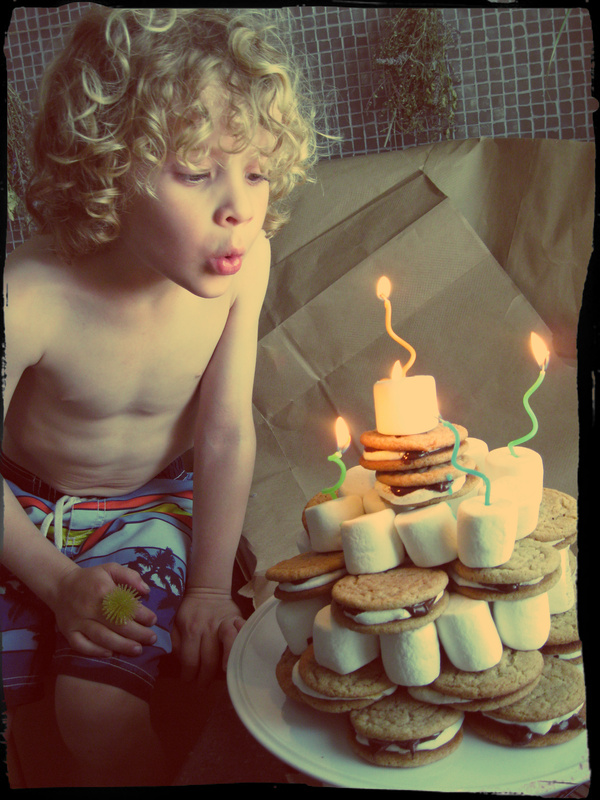 It was his birthday not Halloween, he needed something special that was made with love. So, I decided to get my creative juices going, and put all his requests together. 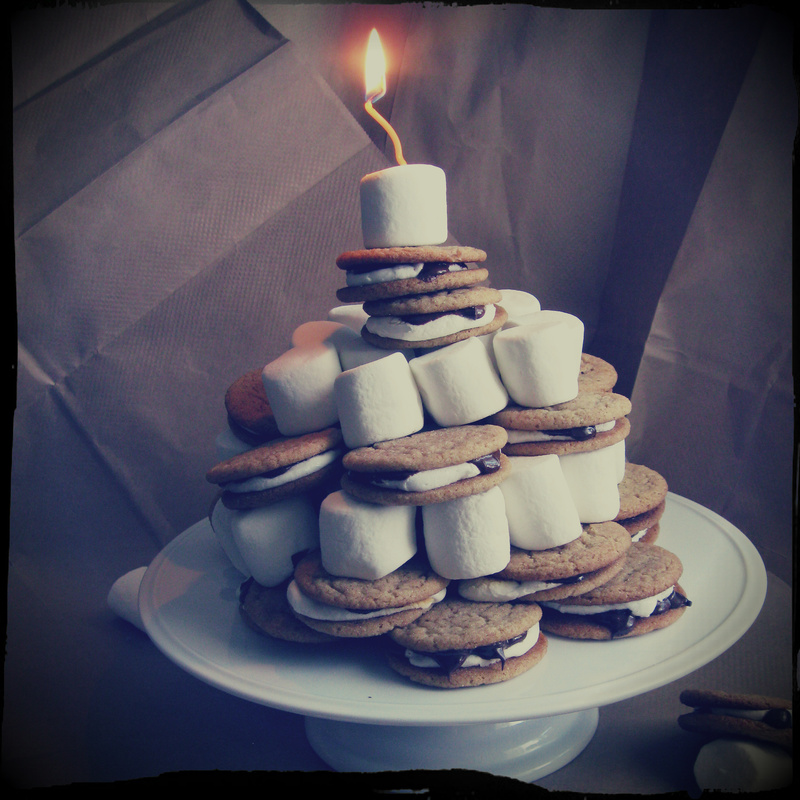 Thus, the S’mores Cookie Cake was born. Isn’t it fun? !